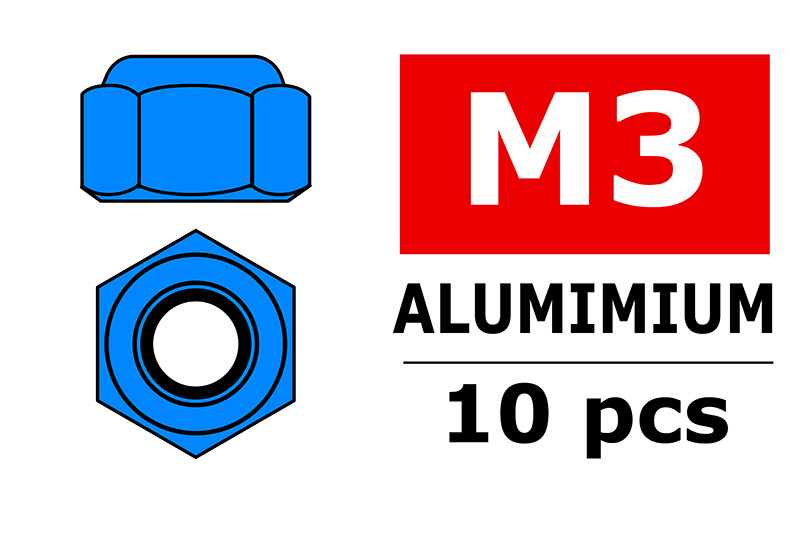 Self-locking M3 nuts machined from 7075 high tensile aluminium. Fits all the different cars in the market. 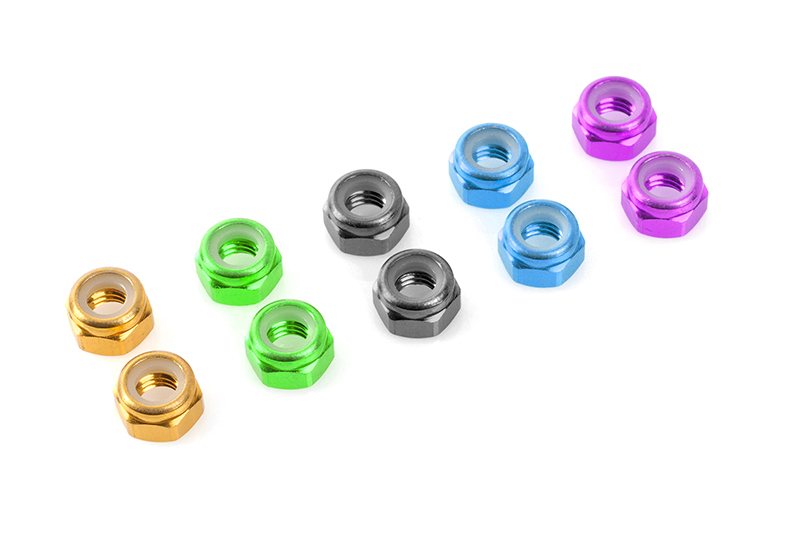 Blue Color anodised. Set of 10.